The reality of bank marketing today is that it’s a yes-and proposition. At its best, it’s a strategic role, informed by data and equipped to optimize the full range of digital interactions between the bank and its customers. Yes—and, if you’re with one of the many small marketing departments among the thousands of America’s community banks, you still have all the traditional community outreach responsibilities on your plate. Case in point: Moving into a new location? Someone’s going to have to plan the grand opening. That’s right. While industry pundits continue to debate the future of the branch, banks are still opening physical locations. And they’re still finding value in the opportunity to make a fun, festive first impression on their new neighbors. That’s not necessarily a task best left to event planning consultants. To get the branding and key message points right—and to know how to turn encounters into connections that evolve into mutually beneficial relationships—marketing needs to be involved. But what would induce the average consumer to pop in for a visit at a new bank branch? Free food and prizes are the obvious answers, but it goes beyond that. Kevin Dulle, director of experience innovations strategy at New Ground, a design firm with a specialty in financial institutions, says that branches can add value by “providing a place where time is well spent.” In other words, they need to offer an engaging and memorable experience. And that’s what grand openings are all about. When a group of community bank marketers recently discussed how they’ve handled grand openings at their own banks, here are some of the insights they shared. Know how to squeeze a grand opening out of a tight budget. Helen Lawler, president of FINspiration, a financial services marketing firm, estimates that for the typical branch opening effort, a budget of $15-30 thousand should yield substantial traffic. For many banks, that might not be considered a shoestring budget. 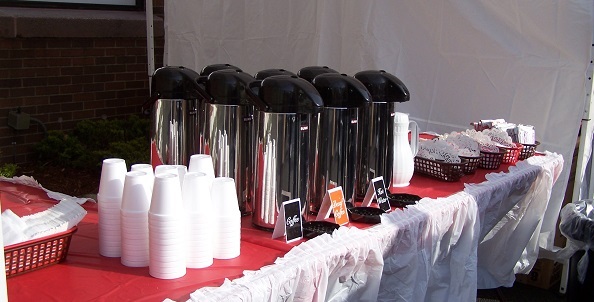 She points out, though, that as with most events, you can stretch the budget by involving bank staff in event prep and management and by making careful choices when it comes to food and giveaways. Instead of handing out promotional items to all takers, some banks choose to raffle off a single grand prize—such as an iPad—and allow customers to visit multiple times over a given timeframe to sign up for a chance to win. As for food, even inexpensive snacks are a nice touch that people appreciate. One banker reports that she’s seen a bank in North Dakota offer a popcorn bar, along with candy and nuts for a “build-your-own” treat experience. Make the event a gift that keeps on giving. 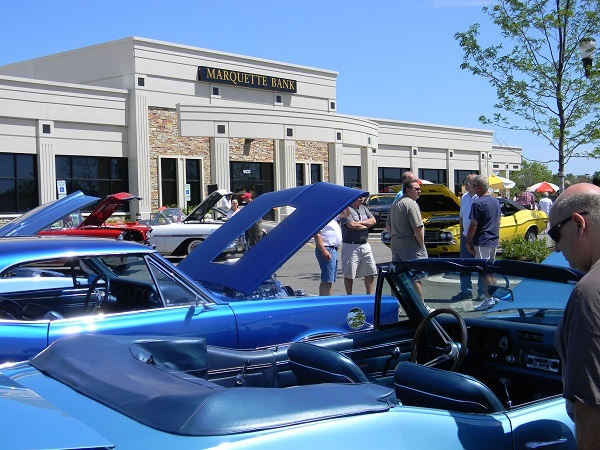 Marquette Bank partnered with a local car club for a combined car show/branch opening. He also recommends partnering with community groups that have a built-in local audience. “Consider seasonal themes or find something that fits your local area. Kids’ events, senior events, business networking, community cookout, block party—and have fun with it.” Not only does this make for a better experience for the attendees, but it also creates ties to the local business community, nonprofits and schools. Along those lines, Christy Goza, SVP at Bank of Cleveland in Tennessee, notes when her bank opened a branch outside a new mall, they gave away a $2500 shopping spree along with a number of gift cards to specific mall stores. Another grand opening featured a western theme, she says. “We had a large lot and we brought in a flatbed trailer, had the local high school band play, cheerleaders performed cheers and we even had a bonfire and a bluegrass band.” Although the bank spent more than intended on the barbeque they served, they succeeded in getting the community involved and providing a memorable experience. Bank of Cleveland brought in local musicians to engage a built-in audience at a branch opening. Try going easy on the hard sell. “Grand openings can be tough,” says Stephanie Sullivan, marketing officer at Omaha-based ACCESSbank. It’s true in more ways than one—not only is the event itself a considerable undertaking, but the pressure is on to open new accounts while you have the public’s attention. Sharon Walsh, VP at Washington Trust in Westerly, R.I., faced the additional challenge of opening a branch with limited parking and a tiny lobby on a congested street. So instead of trying to open new accounts in person during an event, they focused their deposit drive into direct mail and digital channels. Then the bank staff introduced themselves to the neighborhood by holding a “community shred day” at the more spacious local senior center. ACCESSbank created a festival atmosphere for its acquisition-related grand openings by bringing in popular local food trucks. Kate Young is the senior editor of ABABankMarketing.com. Email: kyoung@aba.com. A benefit to individual membership in the ABA Bank Marketing Network is the ability to converse through the ABA Bank Marketing Network Groupsite–a members-only discussion group. 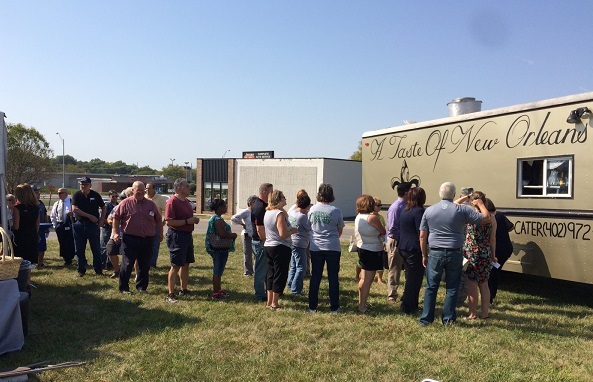 The thoughts expressed in this article reflect the collective wisdom of Groupsite responses to the question, “We’re opening a new branch next month and I’m finalizing the details of the Grand Opening festivities. Can you share some of your experiences—good and bad—with me? ?” Join in the discussion today.